Agile Australia is the national Agile Conference held annually since 2009. 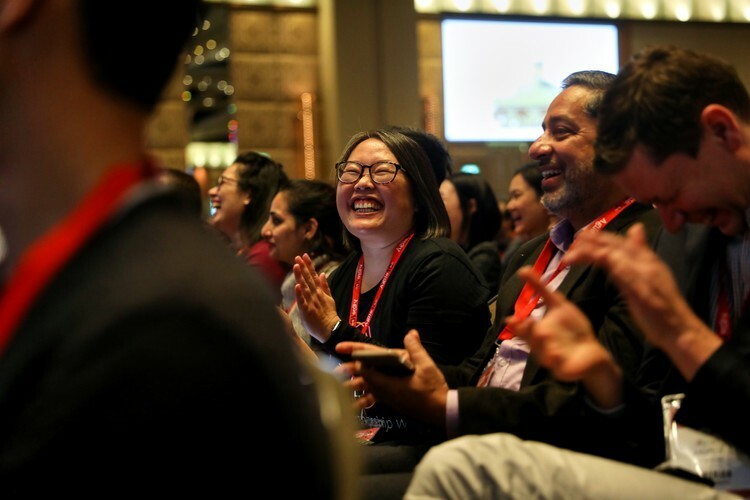 AgileAus is a welcoming, community-driven event attracting over 1200 delegates from areas such as telcos, finance, insurance, nimble startups, non-profits, digital businesses and government. With a unique and collegial blend of content—ranging from mind-stretching sessions on culture, tools and tech; case studies; interactive Deep Dives; and blue-sky gazing—AgileAus inspires both budding and experienced Agilists. AgileAus19 will pivot on the theme of Seeking the Agile Mindset. The Conference will feature four concurrent streams of talks designed to represent the depth and breadth of the Australian Agile community. Proudly supported by Agile Alliance since 2009 and run by Slatterys, the AgileAus Conference is a space to support new ideas, methods and tools, and share the stories behind the growth of Australia’s Agile community. You can find out more about the history of AgileAus here. To visit the beating heart of the AgileAus community, head over to The Hub!